I seem to be growing a longer book list by the day at the moment, so it was a genuine struggle to decide what to read. 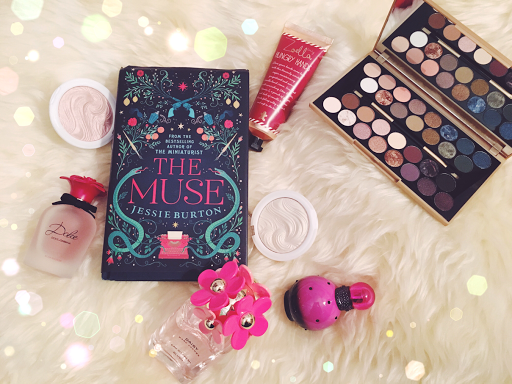 I was recommended to read The Muse by Jessie Burton by my mother, who is a Librarian. Some of my favourite ever books have been based on her recommendations so I trust her opinion, but unfortunately I have to admit that the synopsis on the rear of the book wasn't very enticing; after reading the novel I can honestly say that it doesn't do any justice to Burton's imaginative and vivid, poetically rhythmic writing at all. The novel pulled me in incredibly quickly, due to the beautiful writing style. Split between 1960s England and 1930s Spain, using a dual time frame can be a difficult thing to master, but Burton seems to project this style of writing with ease. The main character from 1960s London was incredibly likeable, with her lovely prose and endearing character. As a reader you really got a feel for the racial discrimination that was around at the time, it was nice to see it from a young professional Trinidadian immigrant female, rather than the stereotypical (white) British male. Odelle is a very intelligent character, it's enjoyable to see her manage to break down the class and race barriers that unfortunately existed at that time through her work as a typist for an art gallery. Her intellect also captures her boss, Quick who becomes rapidly fond of her and pushes her to follow her creative strengths. The characters in the Spanish era were not so easily loveable, the main character Olive came across as a strong willed young girl but also unaware of her own privilege; being indifferent to an offer to study at a prestigious London Art School, instead desperately in love with a Spanish ruffian. She determinedly forces her friends to take credit for her work and deliberately spites her father as she believes he undervalues her as a female artist. Instead of seeing her creativity as her talent, she believes that being in love is the source of her creative achievements. Olive and her family present an interesting set of topics regarding the perception of women in both the creative arts and the world, alongside more niche questions such as why artists create and how inspiration feeds itself upon the artist. 1930s Spain is also on the brink of civil war, which from a readers perspective was an interesting take; there was a slight glorification of war seen through the characters eyes, they never seem to understand the extent of the danger until it is too late. Most of the action is provided in the chapters based in Spain; they're fairly complex and often confusing. Olive's friendships are definitely questionable, as are her relationships with her parents. Back in 1960s London, Odelle meets Lawrie at her friends wedding party; having recently inherited a painting after the death of his mother, he takes it to be valued by the Skelton Art Gallery, where Odelle works. Although there is much interest surrounding the painting, Quick is notably flustered and unlike herself upon seeing it. The painting is the key to the dual time frame; it's quite slow going to find out the true connection, but I found that there was more than enough action provided in each storyline to keep the interest in the overall plot well and truly alive. Teresa, a young but sensible person pulls Olive's talent for painting to the forefront of the village, which is mirrored by Quick pushing Odelle to be a published writer; using her influence to get the work published in a magazine. The dual time frame works incredibly well in this novel, because Burton connects the two well, using clues throughout, constantly keeping the reader wondering what the connection truly is and often providing red herrings which result in you being massively misled. All of the characters in both time frames have flaws, acknowledged in various ways. As a reader, the distinguished flaws ensure that the characters are seen as human even if unlikable. Overall, this novel is one that can only be described as unfathomably well written. The romances found in both the 1930s and the 1960s came across as believable as well as strategic; the plots throughout the novel are not easy to understand and well established to keep the reader guessing by describing some rather catastrophic chains of events in both time frames. The dual time frame really worked for me, I thoroughly enjoyed the journeying back and forth through time and the small snippets of information feeding through at the novel went on. The novel definitely has a strange magnetic charm to it; a tale of love, loss, betrayal and art running through it. The characters are not the most memorable but it is a novel that ties up the loose ends nicely, without a big fuss. Using Odelle as the main narrative writer was very clever, because as a writer herself, a lot of the novel gained momentum through her and her inquisitive nature. This book is a definite recommend for me, as I found it to be both an enjoyable and interesting read, the historical touches were displayed in a creative way that kept me interested, plus the gorgeously written prose is a bonus, as is the beautiful cover art.